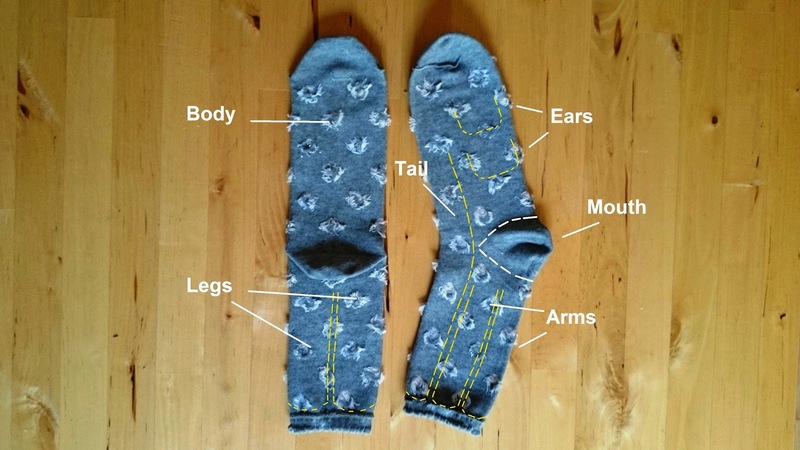 Start by turning the socks inside out, then iron them flat. Mark the different parts of the body and make sure to leave enough space between the lines. Cut out the part of the mouth and set it aside. 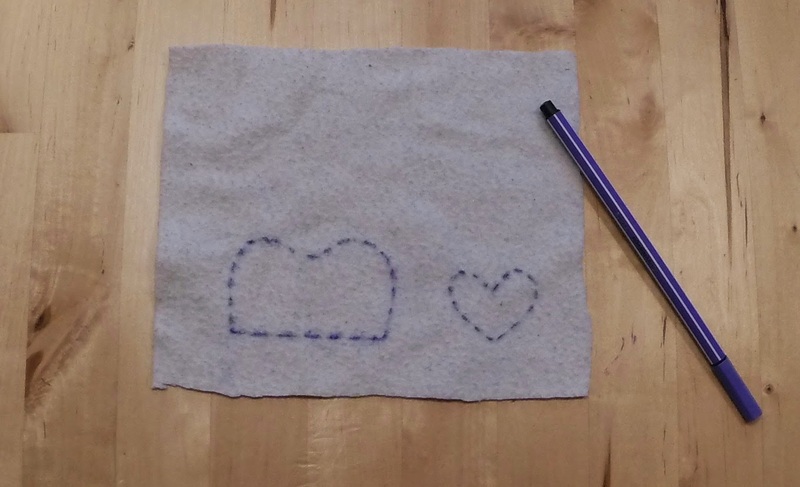 Sew along the remaining lines with your sewing machine, or by hand if you don't have one. Cut between the seams and turn everything inside out again. Now you can start filling your monkey (again, leave out the mouth). This will take more time and filling material than you think, so you can easily watch an episode of your favourite tv show. 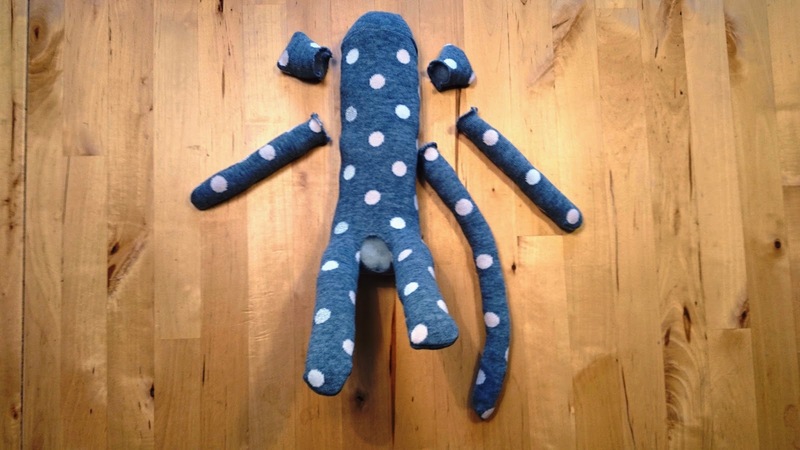 Close the legs, arms and the tail by hand. Close one ear, then fold it in half (along the seam) and sew together. Repeat with the other ear. 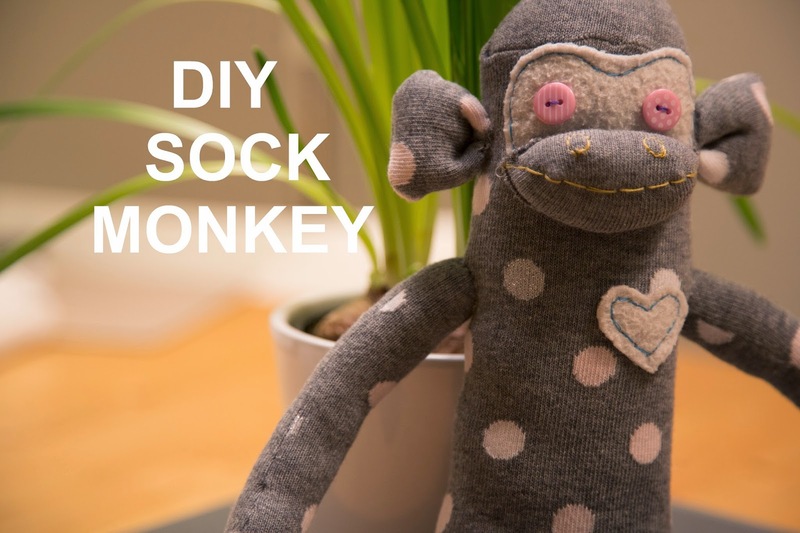 Now you can start to breathe life into your monkey. 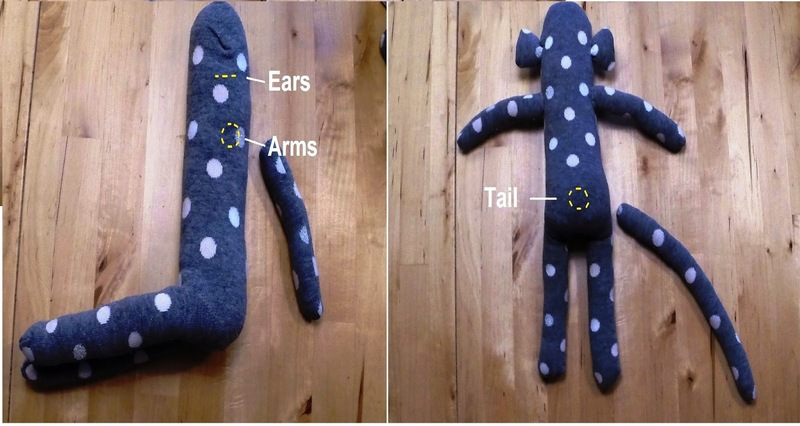 Attach arms, ears and the tail. Don't worry if it doesn't turn out completely symmetrical, your monkey will be so cute you won't notice at the end. 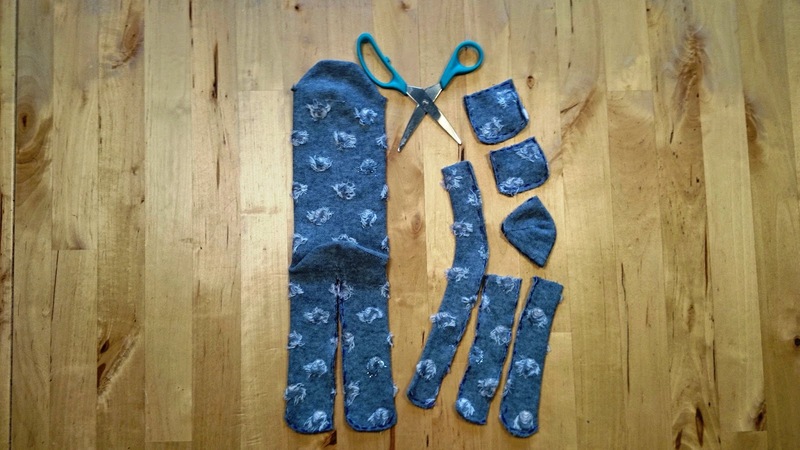 Measure the length between the ears, sketch the face and heart onto the felt and cut them both out. 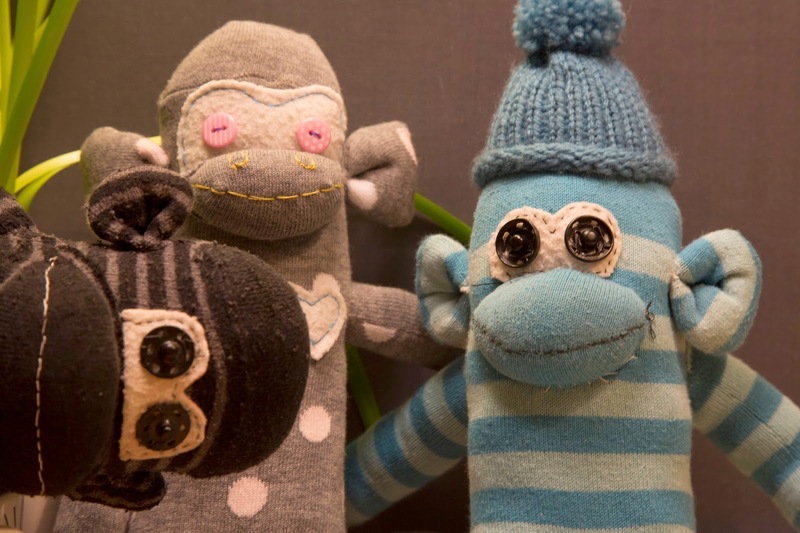 Sew the buttons on the felt to give your monkey eyes. 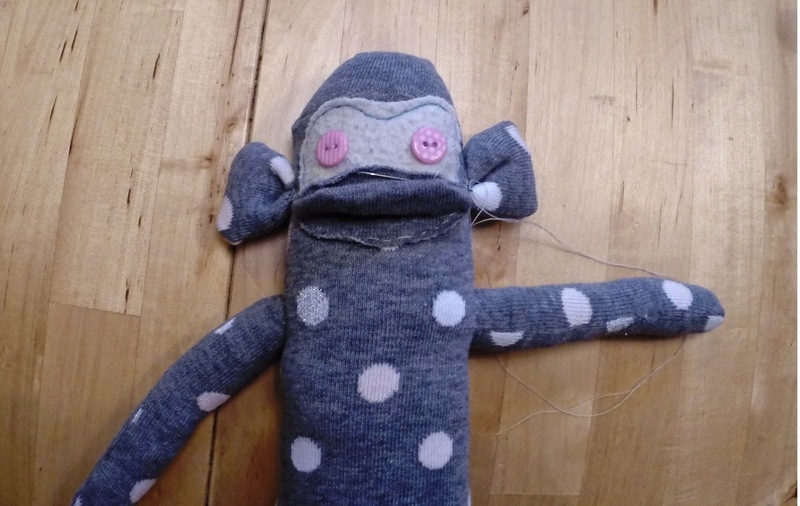 Then stitch the face onto the body, using thread of any color you like. 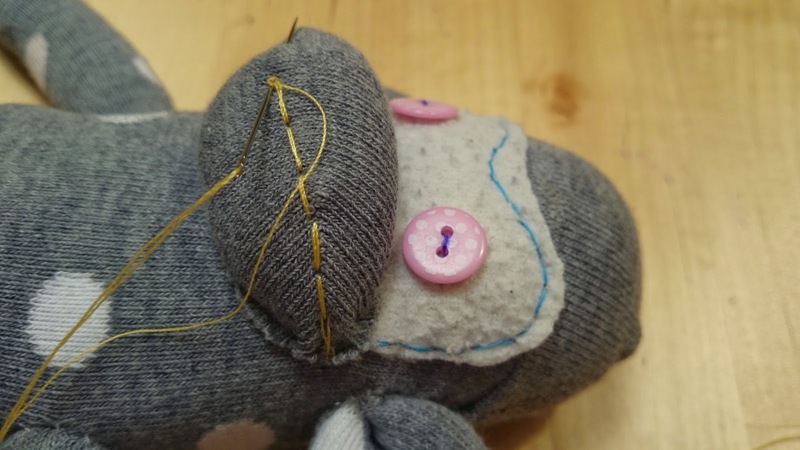 Pin the mouth beneath the eyes and stitch it down, leaving 2cm (1 inch) open. Fill and close it. Finally, give your monkey a smile and a heart.